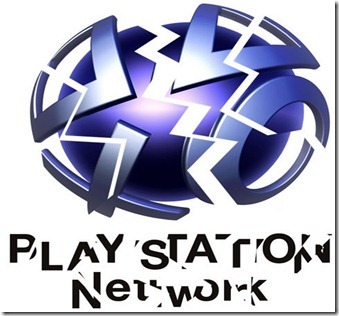 Sony’s Playstation Network Hacked Yet Again in the Third Strike Against Sony. Gamasutra is reporting that the Playstation Network has once again been violated by data rogues! “Sony on Friday said it would have to further delay the return of PlayStation Network following a massive security breach, just as reports stated hackers posted personal details from a Sony database. According to Reuters report out of Tokyo, Sony was able to remove those published details from a website, although the report didn't say exactly what website hosted the stolen information. “…the personal information was on a Sony-affiliated website, which the company was unaware was accessible to people outside of Sony. Yep, Sony just left 2,500 people’s personal information lying around forgotten. Oops! Still want to connect your Steam account to this sinking ship? WHY? WHY? WHY? Why can't you leave us alone already? Did you get what you want? Credit cars, personal information, etc. Is your wallet full of money already. Come on and give the PSN a break for 2 months. Of course they can't hear me so what is the point of doing this if they are going to get hack again for the forth time. Sorry that was from me. Part of me doesn't feel bad for Sony after they went after George Hotz and in particular, got the ip addresses of everyone who went to his site/youtube posts. It bothers me to think a corporation can chill free speech like this. I digress on whether info on jailbreaking a PS3 should be protected speech, but it is nothing more than was originally promised by Sony. There is a big difference between jailbreaking for homebrew software and piracy. Another part of me feels bad for Sony because they are really caught between a rock and a hard place. On the one hand, if they "give in" to the demands of Anonymous, are they opening the door for any corporation to be pushed around in similar fashion. That's a scary precedent to set. On the other hand, Sony will continue to lose billions if they can't stop these attacks. Sony really opened pandora's box on this one. Thank you for the wonderful comment! Usually when I see an Anonymous comment has been left, I expect spam to delete. This was a wonderful surprise! I really don't think that Anonymous was behind the major Sony attacks tho. Certainly the DDoS attack against PSN prior to the hacks was them, but credit card theft just isn't Anon's usual M.O. It's like throwing eggs at someone's house vs. robbing them. Also the Anonymous text file Sony claims to have found was from the second hack against SOE. Someone is attempting to divert blame. I feel that anyone who runs an online store MUST consider security to be a top priority. This should be common sense. Sony was running unpatched web servers and no firewall. They took no care in protecting the data millions of customers trusted them. I feel they deserve no pity and I have no plans to do business with their company again.